Can I get Skinoren online without a prescription? Skinoren is a skin treatment for acne. Skinoren can be prescribed by The Online Clinic for next day delivery. You do not need to send us a prescription as we will issue a prescription after checking your suitability. Simply click on the free consultation button to begin. The medicine, Skinoren is a cream containing one active component called azelaic acid. This anti-acne ingredient works in two ways. Azelaic acid kills the bacteria that lead to acne. These bacteria live on the oily secretion (sebum) from the skin's sebaceous glands. They also generate products that cause inflammation of the sebaceous glands, resulting in pimples (spots). Azelic acid works by decreasing the amount of sebum, thus reducing the numbers of bacteria and preventing their growth. The inflammation of the sebaceous glands then subsides and the acne disappears. Azelaic acid also limits the growth of the keratin-containing skin cells on the surface of the skin. These cells block the skin's pores, leading to blackheads and whiteheads. Controlling skin cell growth prevents their build-up and helps unblock the pores. Skinoren cream is usually used twice daily; once in the morning and again in the evening. If you have sensitive skin, then you usually use it in the evening only for one week before using it twice daily. Your doctor will tell you how to use the cream. The amount of cream to use will depend on the area of skin affected; usually, you should use 2.5 cm of cream on all of your face. Alter this amount according to the area of skin on your body requiring treatment. Before applying the cream, wash the affected area with clear water (or use a mild cleanser) and dry thoroughly. Rub the cream in gently and wash your hands afterwards. The length of time you use Skinoren will depend on your acne, but improvement is usually seen after four weeks. The outcome is best when the cream is used regularly for several months. Do not continue the period of treatment for more than 12 months. You should see results within 4 weeks but continuation of the treatment is required beyond this point. If your skin is irritated by the cream, it may be necessary to reduce the amount you use or how often you use it or to temporarily stop using it until the irritation goes away. Avoid getting the cream on your mouth, eyes, and other mucous membranes; rinse with copious amounts of water if this happens. Skinoren can be used by adults and adolescents (aged 12 to 18 years). Do not use Skinoren if you have a known allergy to any of its constituents, particularly if you get skin irritation with products containing propylene glycol and benzoic acid. Let your doctor know if you have asthma as on rare occasions Skinoren can worsen this condition. Tell your doctor if you are pregnant or are breastfeeding before using Skinoren. Do not allow babies to touch skin that has been treated, including your breasts. Side effects may occur in the area where the cream is applied. However, any skin irritation tends to disappear over time. Redness, itching and burning are very common; while flaking, dryness, pain, irritation, or discolouration of the skin is common. Occasionally, skin may feel tingly or discomfort, or may become swollen, greasy, or lose its colour, or dermatitis or acne may develop. Rarely, the application site becomes warm, or develops vesicles (blisters), eczema, ulcers or rash, or your lips become inflamed. Also rarely, you may become allergic to Skinoren or, if you have asthma, your symptoms may worsen. If you have acne, you can do something about it. 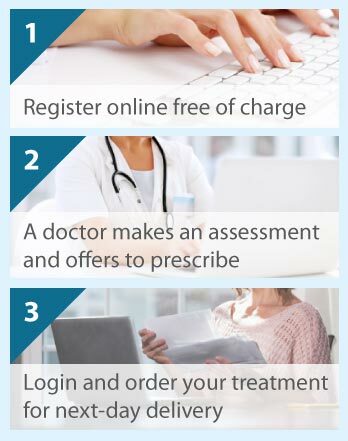 Start by clicking on the Free Consultation button, complete the short online questionnaire, and talk to a doctor who understands and can prescribe a medicine to resolve your problem.